We are delighted to announce that the Bishop of Southwark together with the Diocesan Board of Patronage have appointed the Revd Adam Rylett to the post of Vicar of St Paul’s Kingston Hill, subject to the usual legal formalities. Adam is the Associate Vicar of Holy Trinity Barnes, in the Barnes Team, having previously served in parishes in Croydon and Richmond. Adam is married to Gen. They met doing youth ministry together and have shared in ministry for 17 years, first in Southampton, then Richmond, Croydon and Barnes. 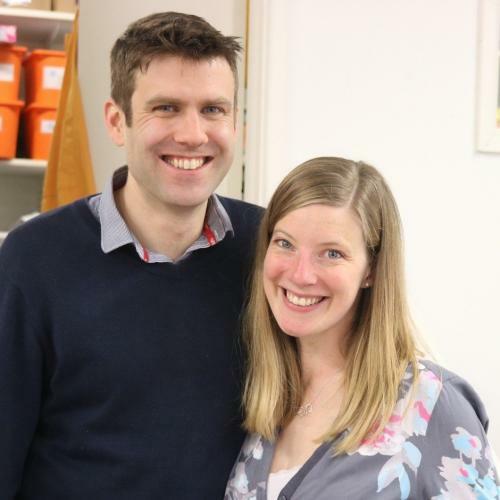 They have four children, Hannah, Reuben, Phoebe and Josiah, and are excited to come and join the community at St Paul’s Kingston Hill. Adam will be Instituted and Inducted as vicar of St Paul’s on Wednesday 10th October at 7.30pm by the Bishop of Kingston. You can listen to the announcement made in our 10.30am service on Sunday 8th July 2018 here.